Join a Life Group and begin your life now! I’m glad that cliche does not apply to me as I don’t think I have enough patience to wait till I reach that age before I could start enjoying my life. Because the truth is my life has already began the moment I came to know Christ. Yes, that was just the beginning, the baby step. The real fun kicks in the moment I made a commitment to join, what we call, a Life Group – a group of men and women who are passionate about life, the Bread of Life, studying the Word and applying the Word in our day to day lives. A Life Group is a perfect place to make new friends and build lasting relationships. Yes, and the friendships you will build here are for keeps. The friends I meet here are what I consider gifts wrapped in different personalities. They are my treasure. They pray with me when I am in trouble and rejoice with me when our prayers got answered. A Life Group is an avenue where you can be yourself – no judgment, no pretense and no fabrication. We want to meet the real You. We understand that nobody is perfect. We are all the same in the eyes of the Lord and we all are sinners. Here, we want to build one another up and bring out the real You that God has created you to become. A Life Group creates a bond that helps you connect with God. A single coal burning by itself cannot create a fire, it has to be piled up with other burning coals. That’s what we do here, we want to create a fire that continuously burns for the Lord. The more fire you create, the more satisfied, happy, joyful, peaceful and loving you become. All because the fruit of the Holy Spirit manifests in each one causing you to become a light to other people and anywhere you go. A Life Group helps you grow in your walk with God. We want to see you soar high and pursue your God-given calling. This will only happen if you continously grow in maturity and understanding of the Word. The more you spend time with the Lord and the people who pursues the same goal, the more you will find fulfillment and joy in life. Here, we will be more than happy to journey with you deeper. There are still so many other things we do in a Life Group. These are just a few of the basic things that we want to highlight to our churchgoers. We are here to serve you and we’d love to see you really enjoy this gift called, ‘life’. 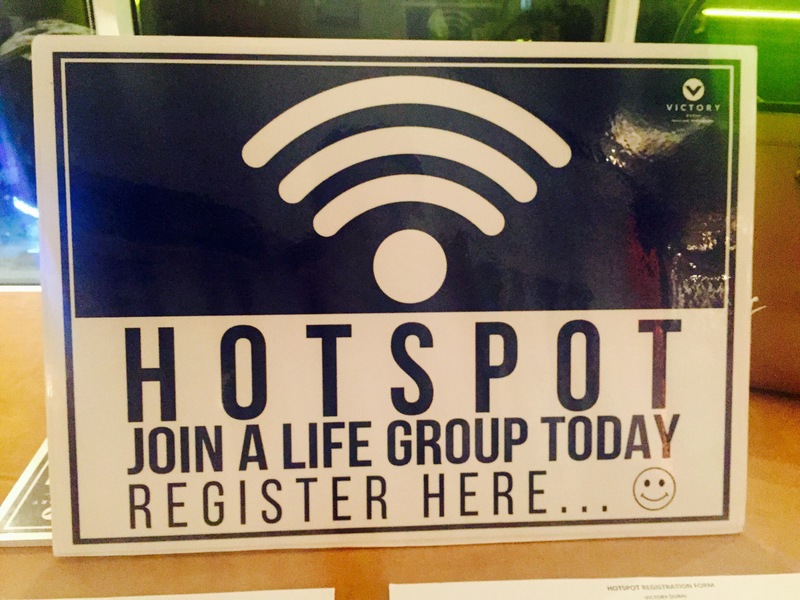 We hope to see you in our HotSpot, bring your friends and family, register with us and we will plug you into our Life Groups as soon as possible! So, my friend, life does not begin at 40. Thank you again Pia for your Prayers, to know others care is very heartwarming. Can I join a Life Group in Australia Pia or by e-mail with one of your groups ? 1John 4:17-19 Herein is our Love made Perfect, that we may have boldness in the day of judgment: because as He is, so are we in this World. There is no fear in Love but Perfect Love casteth out fear because fear hath torment. He that feareth is not made Perfect in Love. We Love Him because He first Loved us. I hope you’re feeling a lot better now. Yeah, I’d love to take you in to my own Life Group, but I guess it would be difficult to work out our time difference. Unfortunately, we don’t do online mtg, since most of us prefer to do a personal face-to-face counselling.